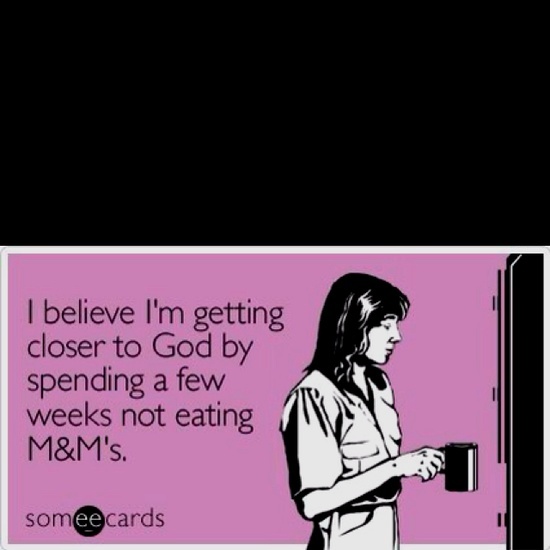 What Are You “Giving Up” For Lent? Today is Ash Wednesday and it marks the beginning of the season of Lent. Lent is a 40 day season of penance, fasting and reflection for Christian denominations in preparation for Easter, Christ’s resurrection. It is a time for prayer, sacrifice and good works. I have to admit that up until a few years ago, even though I was raised as a Catholic and taught what the season of Lent should mean to me, I used the season for the wrong reasons. Every season of Lent I would pick something to “give up” that would be challenging for me and require self control, all with ulterior motives. Usually to “get skinny” in time for summer . For me, Lent looked more like this. I would typically give up chocolate, cheese, ice cream, or fried food thinking I was truly making a sacrifice and knowing I would be pleased with my results at the end of Lent. Over the past few years, as I have grown in my faith, I have come to realize that Lent is much more than “giving up” one of my vices. While I think it is still a good thing to give up something you really enjoy as a sacrifice, I also think it is also important that you reflect on ways you can deepen your faith and get closer to God. I like the idea of adding something to your normal routine during Lent. For my husband and I this means waking up early on every Friday of Lent and going to morning mass together. It brings us closer to each other, God and always starts our day off on a good note. If you’re not really religious, use Lent as a time to get outside of yourself. It could be volunteering at a soup kitchen once a week or visiting the elderly. I promise you will walk away from the 6 weeks feeling good about yourself and a sense of wholeness that you didn’t feel before. So in addition to “giving up” one of those oh-so-tempting things in your life try to add something more to your life by doing something good for yourself or those around you. If you let it, Lent can be a wonderful time to draw closer to God and deepen your faith. I always end the Lent season feeling refreshed from not only what I gave up, but for what I added to my life as well. This entry was posted in Faith, Uncategorized and tagged Faith, Lent by find your healthy haven. Bookmark the permalink. Well Said Kerry! 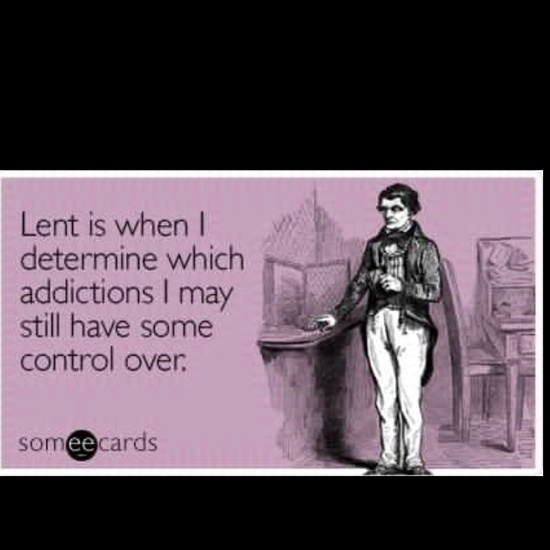 So proud of you for seeing that Lent is a time to grow in your faith. God will bless your efforts.